Russia: Rival or Partner, or Both? Experts discuss U.S. policy options toward Russia including continued sanctions, possible cooperation with Russia in Syria, and responding to increased tensions surrounding the ongoing conflict in Ukraine. This is—this is one of the series that the Council has on the What to Do About… They call it the What to Do About… Series, and it’s on a topic of acute interest, obviously, and it’s on an issue that lends itself towards some kind of immediate foreign policy conclusions. So the specific issue, of course, for today is “Russia: Rival or Partner, or Both?” And we have an excellent panel. So, first of all, I want to say please silence your cellphones. And then I want to say thank you, not just to those of you who came today, but also to HBO for being the sponsor of this event, and in particular Richard Plepler. And we are going to have about 40 minutes of conversation here from the stage, and then we’ll open it up to Q&A. And I want to, before we start, just do quick introduction of our expert panel here, or our expert council. To my right is Stephen Sestanovich. Many of you know him. He has been a longtime senior fellow here at the Council on Foreign Relations on Russian and Eurasian studies. He’s also professor at Columbia University. And this seems to be sort of the thread that runs through, actually, the whole panel: academic practitioners, in the think-tank world, and also teaching. I think what’s important to note on the practitioner side, of course, is that Steve spent time in the State Department. From ’97 to 2001, he was ambassador at large for the former Soviet Union. And he’s also served in many other think tanks, as well as in the State Department’s policy planning staff and as a legislative assistant to Senator Moynihan. So I think those are the important points with regard to his academic background and also practitioner experience. To his right is Dr. Angela Stent. She’s a professor also, as I mentioned, at Georgetown University, and she also runs their Center for Eurasian, Russian, and East European Studies. She’s a senior fellow, nonresident, at the Brookings Institution. And she served as national intelligence officer for Russia and Eurasia at the National Intelligence Council from 2004 to 2006. And then, from 1999 to 2001, she was also in the Office of Policy Planning at the State Department. Charlie Kupchan makes up the last member of our panel. He is also an academic practitioner. He’s back at the Council. He was here for many years and then left for about three or four to work in the Obama administration, so he just returned this calendar year. In the Obama administration, he was special assistant to the president and senior director for European Affairs on the National Security Council. Charlie also served on the NSC under the Clinton administration. And he’s an assistant professor of politics at Princeton University. So, as you all know, our longtime objective vis-à-vis Russia has been to incorporate the Russian Federation into the international community, ensure that it’s a responsible stakeholder of that community. We’ve also worked to encourage economic growth, a free-market economy, and democracy in Russia. 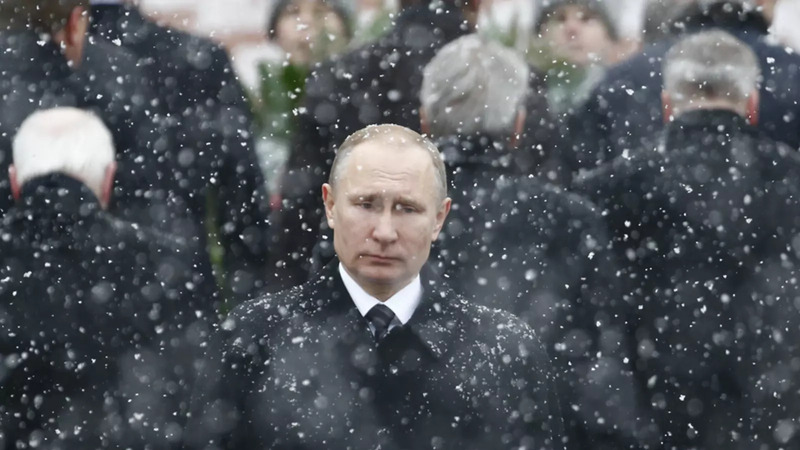 Despite our efforts, or perhaps because of them—though we don’t have time to debate history today—(laughter)—Russia is not behaving as a status-quo power, and is indeed breaking international law and challenging the international order. Russia has invaded and occupied 20 percent of Georgian territory, Ukraine’s Crimea, and continues military intervention in Donbas. Russia has violated the Intermediate Nuclear Forces Treaty, and is either not in compliance with or poorly implementing conventional arms-control agreements, including the Vienna Document and the Open Skies Treaty. Russia has interfered with our elections here in the United States, as you know well, as well as in European elections. Russia has conducted assassinations on foreign territory. The best-documented one, of course, is the one that the United Kingdom’s Litvinenko Inquiry documented. Russia has violated the Geneva Conventions and human rights of innocent Syrians with their targeting/bombing of the U.N. humanitarian convoy, as well as hospitals—multiple hospitals and civilian population centers. Russia has increased the military risk to the United States and our allies through their unprofessional and dangerous buzzing of our ships by their military pilots, and repeated encroachment on European and Japanese airspace. We’re not—I’m not done. (Laughter.) Russia has inundated us and our allies—the world, in fact—with its propaganda and its fake news, using our civil liberty—our freedom of speech—to try to subvert our democracies. Now, as you all know, right now we have limited military-to-military contact with Russia. Our chairman has met with General Gerasimov, but we have not had a lot of contact down the line. And, of course, our sanctions are still in place. But, of course, at the same time, economically we should note that in Russia inflation is declining and the oil prices are steady. The Russian ruble has stabilized vis-à-vis the dollar. And their reserves in Russia right now are at 378 billion, and of course with the oil prices stabilizing they can add to those reserves. So, in light of what I have told you, this litany of the objectionables, and the state of our policy as it stands today, I would like to ask each of you to talk about what you think our objectives towards Russia should be in terms of our policy. And then, in light of what you think our objectives should be, whether—what kind of approach we take towards Russia. Should we contain? Should we cooperate? Or something else. So I’ll go in the order—the proximate order. Steve, if you could start with your perspective. Look, everything that you say is true, and yet it seems to me that the most useful starting point for an assessment of what to do toward Russia is not to focus on what a bad boy Putin has been, but to understand that the most significant changes of the past couple of years have involved the—you know, some big wins for Putin, as well as some important setbacks. In some ways, he thinks he’s got the momentum on his side. He has achieved things, done things in the Middle East that the Soviet Union at the height of the Cold War never felt able to do. And that, combined with a kind of pressure in Europe, not just against Ukraine but the kind of interference that you’ve been talking about, gives him a chance to be, I would say, arguably the dominant power in Europe. So we’re not just talking about objections to Russian behavior, we’re talking about how to repair some of the damage done. Now, this is a quick NSC meeting, so I’ll give you my bumper sticker: it’s selective containment and selective engagement. That sounds kind of weaselly. Let me tell you what I mean by each of those very quickly. FARKAS: Because it was anti-Soviet. SESTANOVICH: The content of the policy was to focus on our side of the line and make sure that we supported stable, viable governments friendly to us. And that’s where we have to really start, because the big damage that the Russians have done is—has been to disrupt our alliances, create new pressure on them, make them—make allies worried about our influence and our staying power. That’s true in Europe, it’s true in the Middle East, it’s true in a way in all of our alliance structures. But certainly in both the Middle East and Europe we face an urgent task of alliance-tending so as to create a more favorable environment in which to limit Russian power and create a more favorable environment in which to pursue any understandings that we want. Before we can do any kind of cooperative work with the Russians, we’ve got to make sure that we have got a better balance of power than we—than we do now. FARKAS: OK, that’s great. So we heard from Steve: we need the selective containment, selective engagement, and start first at home and with our allies, strengthen our side of the equation. I mean, I don’t disagree with what Steve has said. You know, Russia is a large, very challenging country. And I have to be—we have to be quite clear with whom we do not share values and we share very limited interests. And our goal of trying to integrate Russia into the sort of global order as we envisage it, a peaceful order, didn’t pan out that way. Now, the other, I think, thing that will be very dangerous—and I think Steve would agree with me on that—is to seek a new reset, a kind of overarching grand bargain with Russia. I’ve written a book; I’ve looked at the past four reset of the past four American presidents, and they’ve started reasonably optimistically, and they’ve all ended badly because we simply don’t share enough values, and we simply have a very different view than the Russians do about what a productive relationship would look like. Now, having said that, we are at a dangerous moment. Our relationship is worse than it’s been since at any time before Mikhail Gorbachev came to power, and I would say small steps are normalization. So military-to-military contacts, we need more of them. I think it was a mistake to cut them back so much. They’ve begun. There’s a whole realm there that has to do with arms control, the fact that we’re the two nuclear superpowers, we have to focus on those issues and push that agenda forward. You mentioned sanctions. The sanctions that we have are tied to the implementation of the Minsk Agreement. We can maybe come back to that, but we should not begin to lift sanctions or think about beginning to lift them unless they’re tied to a settlement in Ukraine, and not if they’re tied to some other area like cooperating in Syria. So there are limited areas where I think we could cooperate with Russia. And I agree with Steve that we should focus first on bolstering our own alliances and have the Russians understand that we really do have a credible transatlantic alliance. And you and I were both at—and Charlie—at the Munich Security Conference, and we saw great doubts—grave doubts there about whether this transatlantic alliance still exists and will going forward. But it’s to, you know, ensure that, in fact, that is a strong pillar of our foreign policy, and then try and work with Russia, certainly, in Syria to see if something more productive can be done. I’m a little skeptical about that. We should try it, you know, hold to the sanctions, look at the arms control area, and I think that’s about it for the moment. I don’t really think there’s too much else that we can accomplish. FARKAS: OK. I think the president is going to be a little bit dejected and disappointed because all we’re talking about is these alliances that he’s skeptical of. So, Charlie, do you—do you agree? Do you want to add something new to this mix? KUPCHAN: I’m not going to give the president a lot of relief in the sense that I’m more or less in the same place that my colleagues are. Let me begin with a—with a few cautionary words in the sense that I think we need to make sure that we are looking at ourselves in terms of what we may have done to increase tension between Russia and the United States. And I think, you know, especially having just been in the government—and now I’m in it again for two hours—there is—(laughter)—there continues to be a lot of Russophobia in the DNA of our foreign policy establishment, and that surprised me, and it’s something we should always be on guard for. Secondly, as someone who opposed the enlargement of NATO, I think we need to be forthright in understanding the degree to which the continuing enlargement of the alliance has left Russia feeling, in my mind, legitimately aggrieved with a post-Cold War security architecture. And, third, I think the Russians are at times right that we at times are somewhat hypocritical in terms of our deployment of a rules-based international order because we often change the rules. So, in Libya, we had a U.N. resolution to protect civilians, and then once we were there we moved the goalposts and turned it into regime change. Sometimes we see non-democratic change and we jump all over it, and other times Egypt, something looks—you know, we don’t jump all over it. So, yes, there are some double standards. That having been said, I think that what Russia has done since Putin has come back to power as president warrants a very firm, very rigid stance against Russia, and I would go so far as to say that Russia today poses the greatest threat to the United States of any country. Let’s set aside ISIL and terrorism, but any state actor. FARKAS: I said election interference. KUPCHAN: OK. I missed that. But what—I’m much more concerned about what is happening to the West than I am about Crimea or Donbas or South Ossetia or even Syria. And it may be that some of the dysfunction that we witness would happen in any case. I’m sure that’s true, and we have a large sector of our electorate in this country—the Brits the same, the French the same—that are very unhappy with the system, and they want to turn it upside down. But there’s no question that the Russians are taking advantage of this moment. They are all over it. They have penetrated NGOs, media here, but mainly in Europe. And as we head toward the French election and the German election, Dutch election, probably an Italian election, we need to be very forthright about their—the danger that they pose to centrist democratic politics. So what I would say going forward is that on Crimea, on Ukraine, on European security, on this issue we need to be very firm, and in fact more proactive, I think, on this question of the narrative, on interference in—they’re really good at it. We haven’t begun to address the problem. And I would urge us collectively to think about how to counter that. The one area where I do think we should be more forward-leaning and try to compartmentalize the tension in the relationship is Syria, and that’s because I think we have moved into a new game with the fall of Aleppo and cooperation between Turkey, Russia, Iran, Hezbollah, and the Syrian regime. The political and geopolitical landscape in Syria has changed. We can stand back, or we can try to get in the game and move the country toward a resolution of the civil war that’s been going on there. So I think, for humanitarian reasons as well as for geopolitical reasons, we should lean into try to work with Turkey and Russia to end the war in Syria. But I would not in any way use cooperation in the Syrian theater as a justification for loosening sanctions or any broader cooperation when it comes to other issues. FARKAS: So I may be able to convince the president to keep those things separate, Syria and Ukraine, although I would caution we don’t have the senior advisor for the Middle East in the room today because she was called off somewhere else. But there is a bit of concern that I have personally that if we let Russia in too much to the overall fight against ISIL with our 60-plus, you know, colleagues who are in the—in the coalition, that they may find that they muscle their way to the table when it comes to Iraq. So I just mention that as a caution. But we can leave Syria aside for one minute. I think it’s important for us to note that, yes, our immediate—as you pointed out, Charlie, our immediate issue right now for the United States is Russia’s meddling in our elections and their ongoing cyber meddling. Because, as we heard from our colleagues from the intelligence community at the beginning of this meeting—which I’m sorry you weren’t allowed to attend—(laughter)—they’re still—they’re still conducting their operations. They’re certainly spying, and at any given moment they could take some other action. So I think the president will want to hear from us, what can we do to deter Russia or somehow compel Russia? Maybe it’s sugar rather than spice or, you know, sugar rather than the stick if you will, incentives rather than disincentives, to get them to cooperate. The other issue is, of course, Ukraine and how do we—the Russians I believe, and the president fears that Putin will call him soon and say, hey, let’s make a deal, and let’s make a deal—a 19th-century sort of sphere of influence deal; you make Ukraine and Georgia neutral. Maybe I will turn to you on this, Angela, because your colleague from Brookings had a recent piece—in fact, I think it ran today; it came up on my Twitter feed today—sometimes when I get out of the White House I look at my Twitter, but—(laughs)—and see what’s going on in the world—and he suggested a kind of real neutrality. The Budapest Memorandum, if you recall, at the end of the Cold War—Steve, you both may have been involved in negotiating it—but the deal was Ukraine gave up its nuclear weapons in exchange for a political guarantee of its sovereignty. That political guarantee turned out to be very hollow, unfortunately. But I think what Mike O’Hanlon, if he were here, would be—was arguing now is we give them a real political guarantee of neutrality—the they being Ukraine and Georgia. So do you think that that’s something that our president should consider, Angela? STENT: OK. Before I answer that, I want to say something about one of the phrases you used, “Russophobia.” This is a phrase that the Russian government and Russian pundits use all the time, and I really object to it. I’ve been working on Russia for all of my professional career. I know Steve has, Evelyn has. You have to differentiate between a criticism of what the Putin administration is doing, what the Putin government has done, and, you know, a fear or hatred of Russia. Most of us who have been studying this, we go there, we very much respect and admire the culture, the people, et cetera. So please don’t use the word “Russophobia.” I think that the—I think that the objections that people have here is not to Russia itself, it’s to what the—you know, the Putin administration has been doing. FARKAS: Yeah, and thank you for that. STENT: And on the cyber, I mean, maybe we can come back to this. I agree completely with Charlie. Obviously, this is a very serious issue. We do have a cyber agreement with the Chinese, and we started to discuss this with the Russian government before the Ukraine events. It would be worthwhile at least trying to resume negotiations like that and seeing whether we can at least agree on rules of the road, even though obviously, you know, there will be some things that will be difficult to agree on. And I’m also assuming—and I know that these people left before we had our meeting—that we have been doing some things ourselves in response to what Russia’s been doing. All right, let me come on to Ukraine. (Laughs.) We know in practice that neither NATO nor European Union membership is on the cards for Ukraine, nor will be for the foreseeable future. And so, you know, that’s definitely a fact of life. But the problem is the idea of negotiating an agreement whereby we and the Russians together sit down and say Ukraine is going to be neutral—you know, Madam, before we came in you mentioned the president of Austria in 1955. I mean, that was, of course, in a way to end that part of World War II. The idea of doing that over the heads of the Ukrainian people and the government is really something that we shouldn’t be able to accept. And, you know, the problem is that in 2008 at the NATO summit in Bucharest, after sort of deep discussions and controversy between the United States and its allies, particularly Germany, there came this phrase in the communique saying that Ukraine and Georgia will join NATO. And it’s unfortunate that it’s there because, obviously, Russia has been able to use this as a—as a reason for some of the things that it’s done in Ukraine, and going back to what Charlie said about Russia’s reaction to NATO enlargement. So I think it might be worthwhile—I personally think that the Minsk Agreement is an extremely flawed agreement and it’s not being implemented, and maybe it needs to be replaced by something else. But, of course, the Minsk Agreement was not negotiated by the United States. So maybe you could conceive of an agreement, but it would have to involve the United States, our European allies, and the Ukrainians, as well as the Russians, to sit down and try and find a better way of resolving the Ukraine crisis. But I wonder whether even if there were a negotiation over Russia’s head—over Ukraine’s head to say that Ukraine would remain neutral, would Russia really withdraw from Ukraine, and would it stop trying to influence domestic politics there? FARKAS: Yeah, my inclination is to believe that military neutrality would not be sufficient for Moscow; they would want the political control. So, Steve, I would like your thoughts on this, too. And again, we have to try to be as concrete as possible, because so far what I have for the president is, you know, strengthen our alliances, get some rules of the road on cyber, more mil-mil. What do you think about all this? SESTANOVICH: We a little high concept for an NSC meeting here. (Laughter.) NSC meetings are 10 percent high concept and 90 percent process and minutiae. SESTANOVICH: So let me do a little process and minutiae on you. To do anything that we’re talking about here, we have to—and I’m telling you this as the NSC advisor—we have to empower the State Department because they are going to be the—have to be the sharp end of the spear for American diplomacy. And if the State Department is not urgently staffed up and the secretary of state empowered as the voice of American foreign policy, then all the things that we’re talking about here are kind of beside the point. American policy will slip to the margins in the calculations of many of the countries that we’re talking about, and it will be harder and harder for us to catch up. SESTANOVICH: No, no, the Dayton Agreement was a good agreement. And this one was just a lousy agreement that has nevertheless turned out to be highly valuable to our policy and to—and to Ukraine. But we can’t do anything in either in moving forward to replace it, in getting it implemented, in reaping some of the benefits that we have in the past. So point—process point number one is the State Department needs to be revivified. Process point number two: where the—you know, when Putin calls to talk about this deal, the answer is that’s not happening because the president has got to be out there talking to allied leaders first, and not just singly but in a group that makes clear that the kinds of things that they’ve heard—you’ll forgive me if I don’t think the Munich Security Conference is the Congress of Vienna. (Laughter.) You know, it’s very nice that we had some members of the Cabinet there saying we believe in Article 5, but the president has got to say this out loud and sound like he means it, or else, you know, the effectiveness of American policy is seriously constrained. And so I—and then he can talk to Putin. But if he has a meeting with Putin or has a phone call in which this sort of thing is discussed before he has developed a kind of meeting of minds among allied governments, it’s a catastrophe. FARKAS: And also—I think offline you also mentioned to me we need to engineer very carefully the first meeting between President Putin and President Trump, when and where. So we’ll look to the State Department for that input, as well as the other agencies. Charlie, I mentioned in the litany of objectionables, you know, Russia’s violation of the INF Treaty, and you know our president wants to bolster—he said he wants to have the strongest nuclear force available. How does that play into all of this? What do you think we should do with regard to arms control, nuclear and conventional? KUPCHAN: You know, I think—let me just pick up on where Steve left off in responding. I think that the first rule of thumb that I would put out there as we go through the policy options is that we need to maintain solidarity with our European allies. If I think back over the last four years and say what was our most significant source of strength in dealing with Moscow, it was Atlantic solidarity. And if we let Russia drive a wedge between us and Germany or us and the EU, it’s over. SESTANOVICH: A one-sentence intervention? Much greater solidarity than the Russians or the Europeans themselves expected. KUPCHAN: —that we were able to keep it together, and it took an enormous, enormous amount of work—I mean, daily, almost hourly contact between the White House and the Chancellery to keep that—to keep that going. The second observation I would make is that Putin is very good at finding asymmetric sources of strength. He plays in Georgia. He plays in Ukraine. He plays in Syria. We are not going to put as much skin in the game as he is because those places matter more to him than they do to us. And therefore, as we think through our portfolio of policy options, we need to ask: Where are we stronger? Where is Russia vulnerable? And it’s not when—in eastern Ukraine on the ground. It’s not escalating militarily. It is the sanctions. And I think we ought to have ready an increase in sanctions to use, whether it’s on the INF violation or the increase in violence in Donbas, because that’s where we have the most leverage and where it hurts. I think we should continue to move rather forcefully on NATO reassurance and deterrence. I think the plans to put an armored brigade back in Europe and the battalions in the three Balts is the right way to go, and I would keep moving in that direction to let Putin know that if he’s going to keep up the aggressive behavior, NATO will put more and more forces in its—in its eastern flank. On Ukraine, I would encourage the president to very quickly get Minsk back into the radar screen because I fear that what’s happening now is that, because of the political transition that’s taken place here, the momentum behind the Minsk negotiations has dissipated. And what we’ve seen Putin do over the last several years is he turns the thermostat up when he feels there’s no political progress, and then he turns it back down when there is political progress. So I would encourage the president to get together with Hollande and with Merkel, the leaders of the Normandy group, and to devise a very clear and rapid program of getting Minsk back up and running. I do think there is a deal to be had on Donbas. The outlines are in what is called a road map that was negotiated during the closing months of the Obama administration. Let’s go back to that road map and try to push the parties to make a deal. STENT: Can I just—and I think one thing we have to remember is you’re quite right at the moment, this is—we should seize the moment to do this because, who knows, after the elections in France and Germany, the French election—(laughs)—you know, German election isn’t until September, but after those elections you may have governments that are going to be less committed to all of this. They may be less committed to keeping the sanctions and maybe less interested, maybe, in enforcing Minsk, or they may be more willing to blame the Ukrainians for the lack of progress on Minsk. So I think it’s very important to move now. KUPCHAN: And I would add to the mix not just domestic politics in Western Europe, but in Ukraine, because as time passes, Poroshenko finds it more and more difficult to be the person who negotiates Minsk. And in that regard, I think we need to be worried about a situation where there is no longer a political basis for a deal on Ukraine, and then we’re all dead in the water. FARKAS: Inside Ukraine, right, right. I think you made that point also, Steve, when you were saying earlier before we came into the meeting that you can’t negotiate over the heads of the Ukrainians. Before we open it up for questions, I want to just make one comment because I appreciate that Angela made the point about Russophobes. Having been in that administration as well, I didn’t feel that there were Russophobes; I just think that the—I mean, the reaction that we had to Russia was the proper reaction, but it wasn’t to the country, it was to the Kremlin. The other point that I would like to make, just using the moderator’s prerogative—and I know there are probably as many views out there as there are on this panel, perhaps, with regard to expansion of NATO—but I fervently believe that we expanded NATO in order to bring stability and security to Europe, which is why I’m still strongly in favor of expanding NATO to the rest of the Balkans, not only Montenegro. But that’s a whole nother, separate conversation, but it is an area where Russia has really increased its activity while the rest of the world has not been watching with, of course, the attempted assassination of the Montenegrin prime minister, the meddling in the Bosnian internal dynamic. You could very well see another, God forbid, sort of frozen war or not frozen war also in the Balkans due to their aggressive meddling. Do you want to add? Yeah. SESTANOVICH: Evelyn, can I add one thing here? Because I agree with all of you about Russophobia, and yet I think we have to bear in mind that there is a kind of nationalist hysteria in Russia right now that is led by the president and the national security institutions. And we need to think a little bit about how to calm that down, not least so as to divide them and to create some opportunities for ourselves, which won’t exist as long as there is this kind of lather of anti-Americanism. SESTANOVICH: There’s not all that much that we can do, but I think there are a couple of things that may actually reduce the temperature a little bit. You started to mention arms control agreements. Arms control agreements are not the heart of what we’re—of the agenda that we’ve been discussing here, but they sometimes kind of calm the Russians a little bit, ease their nervous stress. And I think that although, for example, the Russians after the New START treaty said we’re not interested in any more such agreements, actually now, with their budget crisis a little more severe than they realized, with military spending looking at cuts, that there’s a little more of a chance to get this on the table in a way that it, again, shows a normalcy in the relationship, that I think is good. SESTANOVICH: If I could just add one other sentence here. People say a lot that the Russians are interested in a new Yalta. I think this is obviously completely antithetical to our interests. But I’m not so sure that a new Helsinki would be a bad idea. And the trick is to figure out how discussions of European security serve our Helsinki agenda, as opposed to their Yalta agenda. And I just—I won’t say more. I mean, we could. But I think there’s a way in which this too could be used to address the issue that the Russians have about being, you know, encircled and threatened. SESTANOVICH: Yeah. No, they didn’t. Helsinki—containment and Helsinki went hand-in-hand, not Yalta and Helsinki. SESTANOVICH: So we can do better. STENT: Well, do we want to engage in a huge new multilateral negotiation? One other word of wisdom to the president of the United States. It’s very important, you know, seeing what Steve said also and agreeing with that, that the president use kind of respectful and neutral language towards President Putin. President Obama made belittling comments both about Russia and about President Putin, which really didn’t help. And we don’t need that kind of thing. So, you know, respectful and kind of neutral language is better. KUPCHAN: In the spirit of mixing it up a little up a little, which is what NSCs are supposed to do, I will withdraw the phrase “Russophobia,” but I will stand by the point. KUPCHAN: Right now, I think Russophobia, whatever you want to call it, is justified. But if we go back to the last 20 years, I would stand by the claim that particularly on Capitol Hill, but also in the foreign policy bureaucracy, there has been a—I don’t know if it’s a hangover from the Cold War or what it is—but there has been a bias to see Russia, I think, in a malign light. As I said, it’s now justified in a way that I think has been unfortunate to policy. FARKAS: OK. So I take your point on that. I think there’s something to it. But again, I think that—anyway, but I believe within the administration there was not a Russophobia, per se. SESTANOVICH: I think right now. FARKAS: Yes, exactly. (Laughter.) But I want to make one more point, which is I wanted to actually express appreciation for the last point that you made, Mr. Secretary—(laughter)—because I didn’t—I was remiss in sort of reminding the audience that we don’t really have any outreach towards the Russian people. In as much as we have constrained outreach towards the Kremlin, we have virtually nothing right now as a government—I shouldn’t say virtually nothing. We have some small, you know, fellowships and things of that nature. But most of the work that we have been doing, the people-to-people work, the work through USAID and the Democracy, Human Rights and Labor Office, the support to NGOs, that’s of course come to, if not—it’s not frozen. Some of it we have some work around. But I think it gets to your point, Steve. How do we reach out to the Russian people? That’s an important point. Also, pushing back against Russian propaganda in Russia itself to the Russian-speaking population worldwide and beyond. So with that, I think there are a lot of issues out there and there are a lot of hands. And I guess I’ll just start sort of on the left and go right. And I’ll start right here. And also, I should remind you all. This is on the record. And please introduce yourself, your affiliation, and don’t give a lecture. Thank you. Q: Thank you. Tasie Schaffer, Brookings and McLarty. The economic nationalism part of this president’s agenda has been such an important leading edge of what he’s articulated by way of an approach to the world. And I wonder how that plays in this arena. Does it—is it a problem for Atlantic solidarity? Is it a strength vis-à-vis Russia? How do you see that working? STENT: Well, I can start off maybe with the European part. I mean, you know, the Europeans themselves, as we know, were skeptical about TTIP. But, you know, having scuttled it completely with this president, you know, it leaves one wondering how the economic relationship between Europe and the U.S. will continue. I don’t see at the moment much benefit for Russia, unless enough sanctions are lifted that will then enable the U.S. to go back, for instance, on some of these high-tech energy deals into Russia. But I’m not sure how that benefits Russia. KUPCHAN: I do worry that a narrative of economic nationalism and America first and what appears to be some hostility towards the European project could over time not just strain our relationship with Atlantic—our Atlantic partners and make Atlantic solidarity harder, but could play into the hands of forces in Europe on the far right, especially with these elections looming, that could imperil the future integration of Europe. And I would say, Lady Farkas, that were that to be the case that Europe starts to disintegrate, it would have a very negative impact on American national security interests. SESTANOVICH: One sentence? Russia is very, very interested in foreign direct investment, which has declined 90 percent since before the Ukraine crisis. That is a lever that has to be used carefully so that—and we should not expect that we will get, you know, a huge geopolitical payoff from it. But among Putin’s calculations now is in fact to reintegrate into the international economy. So his economic nationalism is something we ought to be aware of. FARKAS: If I could, though, add on that one, I think, based on the conversations the president has had with corporate America, I mean, without rule of law, without the proper infrastructure in place to protect American interest, I think we’ll have a hard time convincing corporations to go in there. STENT: Has a long experience. FARKAS: OK. All right, so I’ll go to this side now. Audrey. Just if you could identify yourself. Q: Audrey Kurth Cronin at American University. I’m going to ask about counterterrorism as an area of policy interest. Is it a good idea for us to cooperate with the Russian in counterterrorism as a way to have a series of conversations where we can move forward? Or is that unrealistic? We tried that with respect to Syria. That didn’t work out so well. They’re very interested in conversations about deradicalization. We have some significant differences in how we historically have dealt with the question of terrorism. So my question to the panel is: Is it an area of potential connection that can be hived off from this larger picture, or is that unrealistic? STENT: Well, I can—I can start. I mean, it’s—potentially is an area where we could cooperate. Obviously, we worked well in 2001—in the fall of 2001 in Afghanistan. And sometimes, if selectively, we can work with the Russians on counterterrorism. But often, it doesn’t work out. There’s too much mistrust. Their definition of what a terrorist is is rather different from ours. And so I think we have to be realistic about how much is possible. That doesn’t mean we shouldn’t try it. But I think we shouldn’t have any illusions about it, because the record is pretty mixed. SESTANOVICH: I don’t have a whole lot to add on this, except that every time I talk to people who really know about this and say, well, what’s the real counterterrorism cooperation been? They always say, less than we claim. FARKAS: OK. So, on that note, Charlie. KUPCHAN: Yeah. I would just add that in theory we should be working very closely with the Russians on counterterrorism because they’re—we face the same problem. They face in some ways more directly than we do. But the experience of the last few years I think engenders a lot of sobriety. We, in the Obama administration, bent over backwards to try—not just to deconflict with Russia, but to cooperate with Russia militarily, trading intel, trading targeting, things like that. And they simply weren’t ready to step forward and deal with us in a—in a straightforward manner. And especially now that we have all of this difficulty over cyber, over penetration, over intelligence, I think we have to be very careful about what we share with the Russians. Final point, they have been taking indiscriminate strikes in Syria for a very long time. So if we get in there under the rubric of counterterrorism, we may find ourselves being party to very, very heavy loss of civilian life. FARKAS: Yeah. And I will only add that even in the run-up to Sochi, where you would have—the Sochi Olympics in Russia, where you would have thought the Russians would be motivated the exchange intelligence and cooperate closely, we found that was not the case. Q: Thank you. Bill Courtney, RAND. Q: There have been two significant bipartisan bills in Congress—one to codify sanctions and expand them, another to limit the president’s ability unilaterally to lift sanctions. Both of those bills seem to have arisen because Congress is suspicious of the president’s Russia policy. In the past, thought, we’ve found that Congress can be a blunt instrument—as with Jackson-Vanik Amendment. What do you think? Is Congress a greater role now? Is that going to be healthy for our Russia policy going forward or not? FARKAS: Well, let’s start with Steve, since he worked in Congress also. SESTANOVICH: (Laughs.) I don’t completely agree that Congress has been such a blunt instrument. I think—you know, not to go—rehearse the Jackson-Vanik history, but I think when it mattered it was positive and when it didn’t—when it ceased mattering, you know, we had some symbolic hangover that we managed to cope with pretty well. Didn’t constrain economic relations much. I don’t—I don’t think it’s great for an administration just to cede its discretion to the Congress, but there is one way in which it can be useful. And that is, in any negotiation when you say to the other side: If you don’t help me out, the Congress is just going to do a whole lot of things that you aren’t happy with. You know, people actually tend to believe—other governments tend to believe that Congress can do stupid things. (Laughter.) You explain it to me. KUPCHAN: I would just agree with that. I think it’s a good thing that that legislation is percolating. It does give the administration the ability to kind of play good cop/bad cop, and make clear to Putin that if you want sanctions to come down, or avoid them going up, you need to do concrete things on Ukraine, because otherwise there’s no deal. FARKAS: I think Congress generally is very good at preventing the president from doing something, but not very good at forcing the president to do something. Q: Hi. Rachel Oswald, reporter with Congressional Quarterly. Also on the legislative sanctions angle, the bill from Senator Cardin that would impose really draconian mandatory sanctions on Russia would really impact its—the enemy sector of Russia. And I’m interested to hear from the panel what you think that means for Europe, if you’re heard from any European analysts or European officials who are concerned at the way the sanctions are currently structured in the bill, which now has 10 Republican co-sponsors and nine Democratic co-sponsors, so it appears to be gaining steam. What that would mean for Russia’s energy sector, and if they’re properly being prepared. STENT: Well, I would just—I can’t comment on the specifics of the bill, but, again, on discussions that were on side—on the sidelines in Munich, I think that Europeans expect that Nord Stream 2 is going to be built. They see Russia as reliable supplier of gas. And they need Russian gas. They will need Russian gas 20, 30 years going forward. So if this is something that would constrain the—you know, Russia’s ability to export to Europe, I think that would be a further problem for the Europeans. FARKAS: Charlie, do you want to comment? KUPCHAN: I don’t know enough about the specific sanctions contained in the bill to give you a precise answer. I do think that it is useful to have a ladder of escalating sanctions in the window so that the Russians and the Europeans can be socialized into what might be coming down the road. I think in terms of deploying those sanctions we have to be very careful about how far we go. They are a very good source of leverage with Russia. I mean, as I think Steve was saying earlier, Putin has built a system that depends heavily upon buy-in from certain sections of society—from oligarchs, from the gas and oil industry. And we can hurt him and his domestic constituency by going after that sector. On the other hand, you don’t want to, you know, do something that would constitute a nuclear option or, for example, take Russia off the grid when it comes to financial transactions. So it’s good to have these things out there. We need to think through very carefully when—if and when we would want to actually push the button. FARKAS: Steve, do you want to comment? SESTANOVICH: My concern about that, the kitchen sink bill, has got every conceivable set of sanctions you can imagine, is it will end up producing no action. And I think the Congress will be much more credible if it disaggregates these various approaches, because some of the more extreme measures in the bill, I think, are probably going to end up being argued down effectively by the administration, by business, by the Europeans. And the—and Congress will end up looking as though it can’t do anything—something else that Congress, in addition to being able to do stupid things, often is very good at. FARKAS: OK. All right. So somewhere from the back of this side. Q: Alarik Fritz, Center for Naval Analyses. We tend to talk about policy changes, big shifts to get these done in the relationship. And we’ve mentioned mil-to-mil engagement, but we haven’t really talked about at the technical and operational level. Like you said, we don’t have diplomatic boots on the ground. We also don’t allow ourselves anymore to talk at the military-to-military levels very easily. It’s always at the high level. And so I guess my question is, is there risk in reinstituting military-to-military engagement, say, of the Russia Work Plan, or just allowing officers to talk at a tactical and operational level? FARKAS: OK, so for people who don’t know what the Russia Work Plan is, that’s sort of the plan, frankly, for cooperation and things that we would do with Russia on the military-to-military side. Charlie, do you want to take that, for starters? KUPCHAN: You know, I’m—I think that we ought to have more mil-to-mil contact. I think it’s good that the NATO-Russia Council has started to meet again. I do, however, feel that we should condition greater contact on progress on some of the issues that we’ve been talking about, because it is a sweetener. It is something that we can use as an incentive. The one caveat I would offer, is given the need to reduce risk, to avoid accident, that the Russians are not taking steps and doing exercises without giving prior notification. Given the tightness of the battlespace in Syria, we need to have a conversation. A broader, more secular, programmatic, mil-mil contact I think we should predicate upon progress on these issues. FARKAS: And again, exercises without notification are a violation of conventional arms control. If you—OK, good. I mean, good, fine we can go to more questions. (Laughter.) OK, how about right there? The panel’s view on the contention that our—the pane’s view on the contention that our great strategic antagonist is China. That Putin has nibbled at peripheral parts of Ukraine, China has established massive bases in the South China Sea. That whole Asia area contains allies that re collectively much more dynamic and much more important in the future that the countries in Western Europe. And that, as in the early ’70s, the United States, it sort of opened to China, even as the Chinese were actually virtually fighting with U.S. in Vietnam. That is, we have much worse things with the Chinese than we have with the Russians. The Chinese were participating in a war. Americans were getting killed when we opened to China. In order to get Chinese desistance and a tiny bit of cooperation to cope with the great Soviet upsurge. The great Soviet upsurge we couldn’t cope with because of the aforementioned Vietnam and so on and so forth. Soviet Union was about the change the global balance of power, so we opened to China. And we sacrificed allies in East Asia and their views and everything else. And my contention would be, that we should do exactly the same thing now: Namely, reach some kind of gross agreement with Putin, lose a lot of things in Europe, in order to get the Russians’ desistance, so we can go after China and reverse their seizure of virtually something like three million square kilometers of the South China Sea, main traffic lanes, et cetera, et cetera. Thank you. SESTANOVICH: Yes, I’d like to say something about that. SESTANOVICH: Marx did comment on repetition in history. And I won’t tell you what he called it. But I think this kind of poor-man’s Kissinger is flawed in two fundamental ways. SESTANOVICH: I didn’t mean you were poor. (Laughter.) I can’t judge that. The triangular diplomacy then succeeded because the Chinese and the Soviets were mortal enemies. You’re never going to have the Chinese and the Russians in that position. So you can’t get as much strategic juice out of the manipulation. Secondly, we had by far the more fundamental check on China—and the Chinese view it this way, I believe, too—is the American alliance network in East Asia, not the Russians, whom they do not consider to be a cat’s paw of American policy under any circumstances. So people are always trying to do the opening to China and triangular diplomacy all over again, because they think great reputations can be made that way. I don’t see it in this case. STENT: I returned yesterday from Tokyo, and obviously the Japanese see this very much the way that you’ve portrayed it. The big enemy is China and that somehow if we all get together with Russia. I would just say, for Russia, the relationship with China has become more and more important, even if in the longer run we can question, you know, what Chinese goals are. And the idea that if you improve ties with Russia, that Russia is going to distance itself from China or somehow join with the United States and then—and Japan and whatever else, in a more of an anti-Chinese coalition. It’s an illusion. It’s not going to happen. That’s not the direction in which Russia-Chinese relations are going. KUPCHAN: I tend to think about this in terms of sequencing, that if you were to say between now and, let’s say, 2025 which country is going to be more troublesome for the United States, I would say Russia, particularly because they’re leaning in on these domestic issues and interfering in our elections, and we have this internal problem. If you were to extend the time horizon and talk about the next decade and beyond, then I think it’s Russia—I’m sorry, China, because Russia, in the end of the day, is a declining power. Its best days are behind it demographically and economically. China is still, even though it’s starting to hit a demographic inflection point, is loaded for bear for a much longer period. And ultimately, that’s the country that we’re going to have to reckon with. Q: Barbara Slavin from the Atlantic Council. Let me draw you into another interesting theory, which is that Russia can somehow be pried loose from Iran. We’ve also heard this put forward. What are Russia’s interests with Iran? What are Russia’s interests in the region? And is there any play there for the Trump administration? Thanks. SESTANOVICH: Well, I think what the Russians have been able to do in the Middle East in the past couple years, since the fall of 2015 is, as I said earlier, one of the biggest scores that Russian foreign policy has had, maybe the biggest, since the end of the Cold War. And Iran has played a crucial part in that. They provided the manpower on the ground, where the Russians were not prepared to commit boots on the ground in Syria. For the Russians to sacrifice that I think would be almost something that they couldn’t quite imagine, because giving up on the relationship with Iran is to put at issue this vast achievement. So I’m kind of skeptical. That doesn’t mean you can’t get certain kinds of limited cooperation involving Iran, as we did on the—on the nuclear deal, where I think the Russians have an obvious stake. But where it’s not that issue, but instead the geopolitical maneuvering in the region, I think that’s highly unlikely. STENT: I would just say, I mean, Russia’s in the unique position, as Steve has said, that it’s really increased its influence in the Middle East. It’s the only great power that enjoys, by now, good relations with Iran, with Shia countries, with Sunni countries, and with Israel. It’s the only power that can talk to all three of them. And there’s just no reason why Russia would want to sacrifice the relationship that it has with Iran—although it’s not unproblematic, obviously—you know, in return for what? I mean, it’s uniquely positioned there, and we don’t have those—that kind of influence anymore. KUPCHAN: When I sort of read Putin’s behavior, I see him intent on two main things. One is disruption for disruption’s sake. And when you say, what countries out there are congenital disruptors, Iran is at the top of the list. And so Russia is going to want to keep that in its quiver. And the second is, especially in the aftermath of the collapse of the Soviet Union, to maintain proxy relationships to the degree possible. And in its southern tier, that’s Iran, that’s Syria. I think that’s one of the main reasons that he went into Syria, was to have a continued foothold in the Middle East. So if you just look at Georgia, Ukraine, Syria, Iran, it is trying to hold onto what is left of Russia’s sphere of influence. I don’t see that changing. FARKAS: Right here, the gentleman in the middle. Q: Yeah, Jim Slattery, Wiley Rein. I’m just curious, can you all share just a brief sort of strategic vision of a solution for Ukraine from the Russian perspective? Q: And what’s realistic in terms of a solution here? STENT: Well, what Russia would like is to have, you know, a guarantee that Ukraine will remain neutral. STENT: Right. And Russia would like to be surrounded by, you know, the—Russia defines its defense perimeter, its national security in terms of the borders of the former Soviet space, not the Russian Federation. So, for Russia, anything that encroaches nearer its borders from the post-Soviet space is considered a threat, right? So they’d want a neutral Ukraine, and one with a government that was well-disposed towards Russia, and a Ukraine that would join the Eurasian economic union. I don’t think that’s realistic because, given what Russia’s done in the Donbas, you know, it’s created much more anti-Russian feeling in Ukraine. So I think that probably realistically, and to go back to what Steven said about Minsk being the best worst agreement, probably if you did have a solution where you had greater autonomy in the eastern part of Ukraine, in the Donbas region, and that—you know, and then Russia would withdraw its troops and leave Ukraine alone, but I’m still pretty skeptical that that would work. KUPCHAN: I think that there’s a—on paper, a solution that people would call reasonable and realistic. And it involves some form of what, in the Minsk agreements and the road map, is called special status. And that would require passage through the Rada of legislation that would endow special status to the Donbas after elections. And it would require a change in the constitution so that that special status has more permanence than, I think, the Ukrainians would like, but the Russians sort of demand. Otherwise, you could just give it and take it away. The question is, even if that were to happen politically and you could get enough support in the Rada for the passage of Minsk legislation, what would happen on the ground? After the elections, would the Russians really essentially throw under the bus this kind of separatist infrastructure and allow legitimately elected people to come in? Would they take out little green men that are now on the Ukrainian side of the border? We don’t know the answer to that question. I’m guessing that we would be living with a very murky situation. But ultimately, they see their hold on Donbas as their lever for manipulating Ukraine and Ukraine’s foreign policy. And therefore they want to have some kind of presence there for the indefinite future. Q: You didn’t mention Crimea. SESTANOVICH: Yeah, I was going to add Crimea. KUPCHAN: Steve, why don’t you handle that? SESTANOVICH: Well, it just—in contrast to Donbas, which is really a loser for the Russians—it’s not even all that great a lever—Crimea is one of Putin’s other big, big achievements. And I think this administration has kind of muddied the two and has kind of kept talking about both of them in inconsistent ways. The doable, strategic path forward towards some kind of resolution of this involves talking less about Crimea, because we’re not going to recognize Crimea. But it isn’t the focus of our concern. The Russians are not going to get, for the foreseeable future, a certificate that says, you know, gremnash (ph). But they can get the—they can aspire to have the issue go away. FARKAS: Right here. The mic is coming to you. Question is, what kind of arms control agreements/arrangements do you believe are feasible and ratifiable in light of Russia’s violation of the INF Treaty and other treaties? And what would it take to be able to get to an arrangement or treaty that would be both feasible and ratifiable? STENT: I’m not chafing at the bit. I don’t know whether we’ll have an INF agreement by the end of this administration. And I—and I know that—I mean, there are people in this audience I know who can speak to this very well, but we may not have one because I guess, from Russia’s point of view, given the challenges it believes it faces in its more immediate neighborhood, it maybe doesn’t make sense for it to adhere to it anymore. FARKAS: I mean, if I could just add one thing on that, I think for the Russians the issue of arms control, INF, it’s very much wrapped up in their—in their concept of strategic stability. So what does the military order or the balance look between the United States and Russia, conventional and nuclear? And I think they would very quickly want to have a discussion about missile defense, prompt global strike, you know, these U.S. programs—our cruise missile program—that would bring in a lot of conventional into the—into the nuclear arms control discussion. Do you want to add something, Steve? FARKAS: I mean, in my own—in my own writing I’ve said, actually, I think it’s an urgent area for actually mil-to-mil and diplomatic-to-diplomatic discussion with the Russians because, layered on top of the systems that we are developing and that they have developed, we also have the issue of the Russian military doctrine, which is quite dangerous in and of itself. KUPCHAN: I would simply add, because I noticed that you put the word “ratifiable” in your question deliberately, that that’s a null set; and that, given where our Congress is now and where it’s likely to head, I don’t think we’re headed into a period of arms control agreements of any sort. And as a consequence, I agree with what was just said, that we’re going to have to get in there and do mil-mil, do executive agreements, do understandings about these issues, and stay away from trying to pass treaties. SESTANOVICH: And what’s so bad about that? FARKAS: OK, this—on the aisle there. Q: Hi, Evelyn, Charlie. Dmitry Vovchuk, former director for Eastern Europe at the NSC and former deputy chief of staff to the sec-gen at NATO. Putting aside some of the bizarre circumstances around the president’s comments on Russia and behavior around Russia, including at the press conference his point that the media has potentially limited his ability to do a deal with Russia, I just want to maybe narrow this down to what a potential deal could look like if this is dealtime talking and the practicalities of what do we want and what are we willing to be flexible on. And some of those things have already been mentioned, whether it’s the European Reassurance Initiative, the enhanced forward presence of the battalion-sized units. There was no mention of the missile defense program, where ground has broken in Poland and a site is already up in Romania. Various aspects of the situation in Syria. Are these one-offs that need to be taken with Russia? Is there a grand discussion, just taking the president at his words of there will be big deals, and big deals will be made, and they’ll be beautiful, and we’ll be winning? Obviously, the Russians want to be winning also. Can we both win? What do we need to have in that component package? Thanks. STENT: Well, as I said in my first remarks, there is no grand deal. There is no reset. I think there are individual agreements that we can maybe come to with the Russians, but it just wouldn’t work that way. It never works that way. And I think we have to just be very sober-minded about that. SESTANOVICH: And it’s got nothing to do with the media. (Laughter.) It’s all about the positions taken by the president’s closest advisors. I mean, the real problem sitting around the NSC table is going to be what General Mattis thinks, what the national security advisor thinks, what the head of the CIA thinks, what the secretary of state thinks. And what we know—what we can intuit and what we pick up, a little bit from the media but also from their public statements, is that they have a different view of those issues from the—from the president. SESTANOVICH: You know, I sometimes like to compare what’s happening here to the first part of the Reagan administration, in two ways. One is just the sorting out process that has to take place for an administration to come to an understanding of its own mind on what its goals are. And secondly, that process involves, as I said at the beginning, kind of improving the balance of power. You had in the Reagan administration almost no opportunities for agreements with the Soviet Union in the first term. Lots became possible in the second term because the landscape had changed. KUPCHAN: I would agree with Angela that there’s no grand bargain to be had. And I think that you start off with relatively narrow objectives, and that is to see if you can’t move the ball forward on Syria and on Ukraine. And if you can’t, then we’re stuck. Particularly on Ukraine. I think in some ways Ukraine is the litmus test. And if you can—if you can get a deal on the Donbas and you can begin to unwind sanctions—then, after there’s a little bit of time for the radioactive tension to go down, then you can have a conversation about the rest—about missile defense, about INF, about NATO’s forward presence. But I would leave that completely alone. I wouldn’t even talk about it until you’ve found a way forward on Ukraine and Syria. FARKAS: I think the only other one I would add to that is, of course, this president has said he wants to tweak the agreement with Iran, and he might be able to do that with the Russians. But aside from that and maybe a little bit of counterterrorism cooperation in Syria—which, again, I’m not sure what would be meaningful for us, for the United States, because boots on the ground would be meaningful, but I don’t think the Russians would do that. I don’t—I agree with Angela and everyone else in terms of limitations, but I would add a time limitation as well, because Putin’s up for reelection in 2018, and unless something changes dramatically economically—and what I painted in the beginning was a stabilization, not an improvement—he’ll have to probably revert back to more aggressive anti-Americanism, and that will cause a problem with this White House.